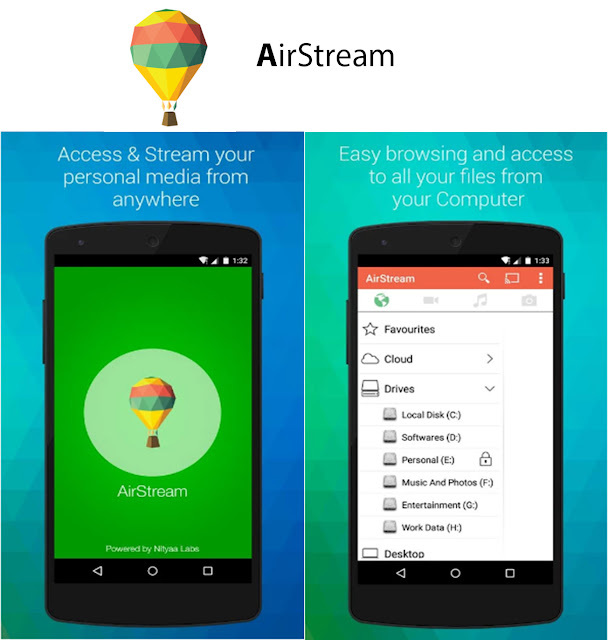 Home Android App of the Day AirStream is FREE for 24 hours. AirStream is FREE for 24 hours. AirStream is Selected as App of the Day and app will be free for 24 hours. "AirStream",complete with all ads removed and iTunes import function,drops in price today from $12 to $0. Grab it before the offer ends. With AirStream, stream movies, music, photos and files from your Computer & cloud apps like Dropbox and Google Drive. Join over hundred's of thousands of AirStream users and download free AirStream for fun and some serious entertainment. With AirStream it is absolute fun sharing media & accessing files from PC on Android Devices- imagine able to access GB's of videos, photos, music and files from your PC or laptop instantly on your Android phone or Tablet. Take High quality videos and incredible sound from your PC wherever you go. Just make sure your computer & mobile are on the same WiFi network. You get to browse your entire computer and stream \ all your favorite movies and media. AirStream also provides access to multiple cloud apps like Dropbox , Google Drive & OneDrive. That's right, on a single app you get access to your PC, Dropbox , Google Drive & OneDrive. Enjoy!! !